Johanna Featherstone established The Red Room Company in 2003. Based in Sydney, Red Room creates, promotes and publishes new poetry by Australian writers in unusual ways. Paul Mitchell spoke to her recently about her work. When did you first come across poetry? How did it impact you? Johanna: My introduction to poetry was 'Now we are six' by A.A. Milne followed quickly by the terrifying rhymes of 'Heinrich Hoffman's Struwwelpeter – Germanic poems that detail the gruesome but fair punishment for wayward German children. The verse tales in Strauel Pieter include Harriett, who played with matches, and so lost her fingers and Fredrik who teased a dog and subsequently got mauled. The revelation that a poem could contain characters, narratives, opinions, ideas and horror pushed me into libraries and bookshops to search for more; the search is never ending, but punctuated by rests when a great poem, poet or poetry collection is found. Connected to my first reading of poems, was the act of pressing poems to memory, reciting them like mantras. It remains important to me to continue memorising poems, stocking up the internal corner shop of affirmations, questions and rhythms. The discovery of poetry also opened up a land of histories and biographies; as I read more poems, I was equally dedicated to learning about the poet. This is part of what inspired me to create The Red Room Company (RRC). Finally, the journey through others' poetic perspectives fuelled my own want to write poems. To create a language object, whereby words were tools to build a philosophy. The writing of a poem, me writing a poem, is probably my most treasured experience, and feels like a life force in the way veins, laughter and oxygen are. Johanna: I've only had about seven poems published, since I began taking my poetry writing seriously, in about 2000. But I try to write all the time, even if it's just words or sentences I can incorporate into a poem, at a later time. I've just finished a poem today, the first one in about six months. I attempt to schedule in time to write poems, but often the time allocated to writing drifts into my own workshop, of practicing techniques, and reading other poets, which I find a powerful injection of ideas and inspiration for me to begin a poem. I'm taking part in The Australian Society of Authors mentorship scheme, which is another of my own writing projects. The piece I am creating journeys through a mixture of genres, with a central linking character and event. As it develops, I realise the end result will be a series of poems. I also write regularly for a satirical newspaper, 'The Chaser', as their resident satirical astrologer and adviser of peoples problems, that I invent. I'm currently writing for a TV show, which is another form of writing, not poetry. Oh, I am a writer of letters; ink to paper, in the post, the act of letter writing is soothing and ritualistic, and vanishing. And I am a writer of lists, pages of them in one of my many notebooks I find in shops and spaces everywhere. Johanna: I run RRC, attempting to keep it part-time, but of course it is a lifetime. I work weekends in a bookshop and then, as mentioned, write for various forms the rest of the time. Most of my 'do-for-a-living' work, (excluding the bookshop), is project by project. Since leaving school almost a decade ago, this is how I've always worked. What was the inspiration behind the Red Room project? Johanna: The original Red Room project was a collaboration with 30 Australian poets, all of whom I interviewed, recorded their poems and edited an epic audio poem for national radio broadcast. I was also committed to creating a project that combined and balanced the reading and creating of poetry with the critical discussion of poetry, its contexts, its role in the individual life and in the social life. 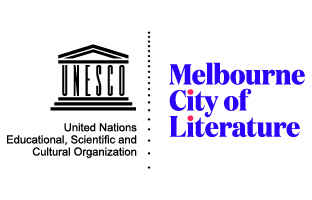 The initial inspiration was a personal want to create an unusual poetry project that incorporated my work with community radio, my passion for Australian poetry and to take new Australian writers to the general public. Not wanting to just record poems and slap them on a CD, but wanting to have a themed project, a mission and an unexpected product at the end of it. I was also determined to get paid and to pay poets to create a poetry project. At this stage I was working on the notion of creating a professional poetry company. So inspiration was partly financial imperative. Red Room Radio had succeeded in building up a network of impressive minds, poetry folk and others. Guests, listeners and production staff at the station and CBAA (Community broadcasting Association of Australia) were really supportive of my ideas. When The Australia Council came on board, that was a definite point where I decided The Red Room would work and that I wanted to act on my desire to create a poetry company into a legal entity. Knowing that The Red Room is unique keeps me feeling fresh and makes me stick at the job of building Red Room into a financially viable and artistically challenging beast. Witnessing previous Red Room participants grow from having their first experience of poetry (publicly) to setting up their own poetry events or publications is also rewarding. Most importantly it is the experience of reading and being transformed by poems that inspires me to work in the poetry solar system. Why are you interested in promoting Australian poetry? Johanna: Sometimes I'm not sure. But today the sun zooms in on the desk and I do what I do, because I want to. Partly it's an internal urge that my own writing can wait a bit, whereas I want to focus on The Red Room and working with other poets on various projects at this point in time. For the present, I enjoy promoting poetry, and once the fun dies (if) I won't do it, like anything. Poetry informs so many of my actions, and interactions, so it's not just the act of promoting poetry, but that poetry promotes new techniques on how to exist that interests me. My role as artistic director of the RRC is one I've created for myself and that I am determined to make work. If I threw it all in now I can already see myself a wrinkled old granny bemoaning my wasted energy and uncourageous youth. Not wanting to 'Hill Song' the reader with didactic poetry love, but I firmly believe poetry is the most wonderful addition to someone's life, or reading life anyway, and the real reason is I am nourished working with poets and trying to excite other people to read and respond to the poetic imagination inside the head of all these incredible individuals. What do you see as the current trends in Australian poetry? Johanna: If the multiple can be a trend or fashion, then I would profess contemporary Australian poetry is defined by its diversity of styles, ideas and ways of creating and discussing poetry. Writers and readers seem to embrace or at least explore poems that are political, hip-hop, lyric, digital, collaborative and experimental. I think there is a desire to incorporate poets of urban, rural and regional locations, admittedly it's difficult to reach rural and regional poets operating outside the known poetry circuit, but it is achievable. In Sydney there is a burgeoning live poetry scene. Some of it is the American influenced Slam competitive poetry experience, some are secluded readings in universities, others, and this is where Red Room fits in, experiment with different public projects, such as Toilet Doors. In Australian poetry, or my experiences with it, there is a flamboyant mix of poetry communities, ranging from a co-operative of poets, to academic poets, to performance poets. All of these groups exist as avenues for learning about poetry, and whilst some individuals get carried away by the label of being a poet, rather than writing a poem, the dedication to putting poetry outside of the head contributes to a stronger public awareness of the power of words. Can you tell us more about the 'Toilet Door' poetry project you've worked on? Johanna: Six NSW poets have written an original poem, to be illustrated by six NSW artists. These poem posters are printed in packs of six, and will be exhibited on the back of toilet doors, in NSW and as the project grows, interstate. Those spaces exhibiting range from Police Community and Youth Clubs, to libraries, to festivals, to businesses, to individuals. Hopefully, poetry lovers will all purchase a pack or two, and for those organisations or charities unable to buy them, we are aiming to send them out for free. This aims to be the first public space poetry project, which will become an annual Red Room event. The project is valuable because it creates quality poetry, presents it to a huge audience in a new way and has a sense of humour – well, I find it funny, especially the design, whereby each poem illustration follows a template design, based on a single piece of sea horse loo paper. There is another project running for the end of 2004 and the first half of 2005: 'Poetry Crimes'. It will take RRC and the selected poets into International waters! Working with poets here, and in three other countries, I am creating an audio project (on line, CD and via radio) that will explore issues relating to crime and justice in Australia. I will be seeking poems that range from tales of convict murder, crimes of the heart to corporate mismanagement. Details about this project will be on the website later in the year. 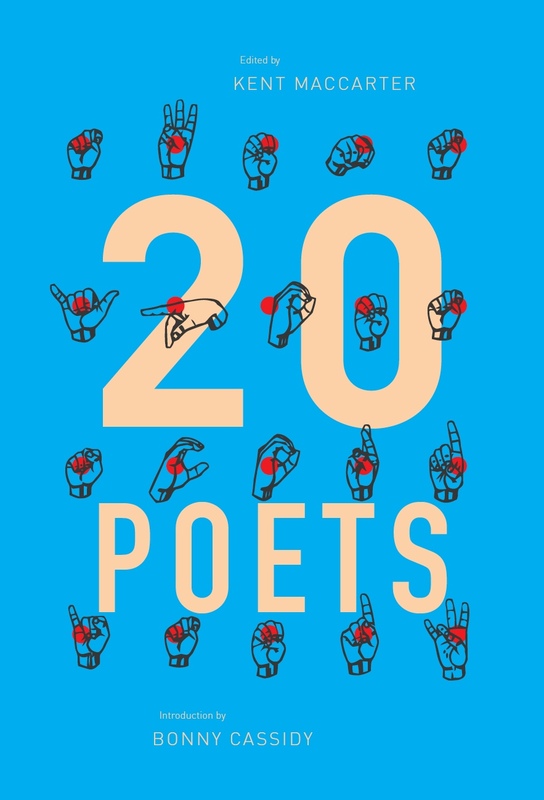 Poetry Crimes has a poetic value as it will build a riveting anthology of poems, unlike any other, but the project also has a social agenda; the collection aims to provoke public debate about those subjects the poems are about. If I say the unword 'anti/hero' to you, what do you think about? Act 1: The rope cutter, someone whose action is anti heroic to a particular audience or set of social or moral codes, in a particular context. Act 2: The anti hero as a being who is personally disdainful of the concept of the hero and flees from being tagged a hero. I am certain I've butchered the Camus image of the anti-hero here, but to describe someone as an anti hero is almost pleasing, not necessarily negative, (in contrast to the anti heroic act). Death – an anti hero is dead 'anti/hero' is a retrospective title bestowed upon one by another. It would be embarrassing to title yourself 'anti/hero' No, I don't think poets are the anti heroes of our day, but bad poetry in a public space is an anti heroic act also titled /poe/no/ 'anti'. Johanna: I am an online journal hopper, often visiting once and not returning. I really enjoy the serendipity in internet searches and unexpected links between sites. Recently I've been leaping across web sites related to toilet paper and toilet doors and have now developed a great interest in the art designs on Regency toilet bowls. I read Jacket every issue, but can't seem to get through all the articles and images, and wish I could have a Jacket day instead of Monday. I read New York Times, The Atlantic and always The Onion. Johanna: 'Featherstone' is actually a physical condition whereby instead of the skeleton being made of bone, it is made of a feather stone. The feather stone's (bone) strength is due to the interweaving feathers inside each piece of bone. This entry was posted in GUNCOTTON and tagged Johanna Featherstone, paul mitchell. Bookmark the permalink.